Liverpool's Mohamed Salah has scored in all four Premier League games against Southampton, with five goals in total, while ending his run of eight matches without a goal in all competitions. Shane Long's strike was his 50th in the Premier League, his fourth against Liverpool, but his first in the Premier League against the Reds, with the other three all coming in cup competitions. Meanwhile, it was the 200th goal conceded by Liverpool under Jurgen Klopp. It was Nathan Redmond's 100th Premier League appearance for Southampton, Trent Alexander-Arnold's 50th Premier League appearance for Liverpool and Dejan Lovren's late cameo was his 150th Premier League appearance - 119 for Liverpool and 31 for Southampton. Naby Keita scored his first-ever goal for Liverpool, meaning the midfielder remains unbeaten in his short Premier League career spanning 22 games. 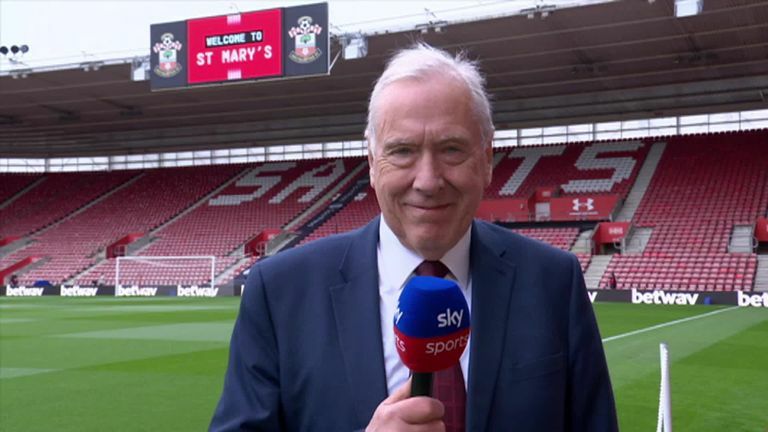 And this was Liverpool's fourth Premier League win in a row over Southampton, the first time they have ever won four successive league matches against the Saints. And finally, after their 2-0 loss to Chelsea on Monday Night Football, West Ham have now lost their last 11 Premier League games in a row in which they have failed to score in, a run stretching back to their goalless draw at home to Chelsea on September 23. However, they are also unbeaten in their last 17 Premier League games when they have scored. MARTIN SAYS: Mo Salah's 50th Premier League goal for Liverpool in his 69th game for the Reds means he is the quickest Liverpool player to reach that landmark - Fernando Torres previously held the record with 72 games. Salah notched his 49th in his 62nd match for the club and had to wait a while to reach 50, but is still substantially quicker to his half century than Luis Suarez (86), Robbie Fowler (88) and Michael Owen (98) took to reach the same total. Alan Shearer's 50 goals in his first 66 games for Blackburn is the Premier League record, while Ruud van Nistelrooy took 68 games to reach his half-century for Manchester United, meaning Salah is the third fastest in the league's history for one club. MARTIN SAYS: Manchester City become the 11th team to reach both the FA Cup and League Cup finals in the same campaign, and the first since Liverpool in 2012. 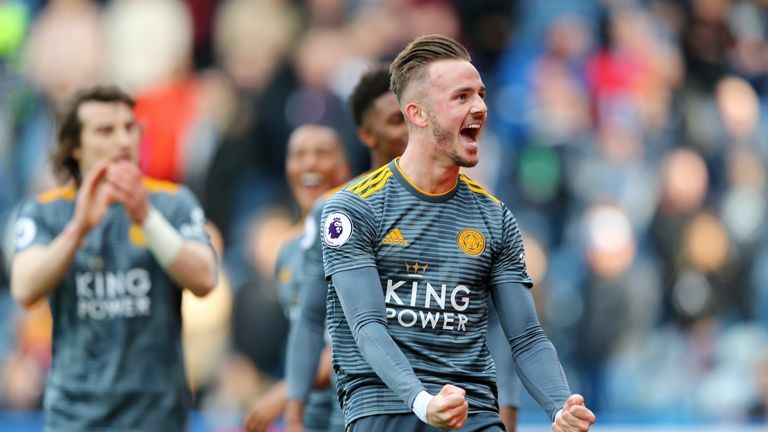 With James Maddison edging towards David Beckham's record of five free-kicks in a season, we take a look at the Foxes' midfielder's efforts. MARTIN SAYS: James Maddison's tally of three is the best in the Premier League this season - one ahead of James Ward-Prowse, Granit Xhaka and Lucas Digne - but he will need to score two in Leicester's final five Premier League games if he wants to equal the record of five. That was set by David Beckham in the 2000/01 season and matched by Laurent Robert for Newcastle the following campaign. The all-time record for direct free-kicks in the Premier League is also held by Beckham, who scored an incredible 18 during his Man United career - that is six ahead of Thierry Henry in second. MARTIN SAYS: It is surprising that Crystal Palace have been more successful away from Selhurst Park this year and they have won the highest proportion of their points on the road in the Premier League. 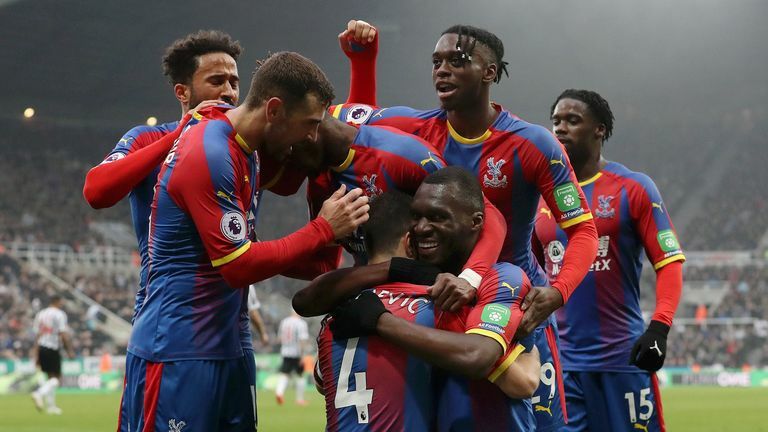 Palace have won 58.97 per cent of their points away from home and to put that into context only Tottenham (51.56 per cent) and Leicester (51.06 per cent) have picked up more points on the road than in their home games. Already-relegated Fulham have lost all but two games away from Craven Cottage to leave them bottom of this table, while fellow strugglers Cardiff have had a similar problem and Arsenal's loss at Everton on Super Sunday further emphasised their struggles on the road this season. MARTIN SAYS: Robert Lewandowski's record of 201 goals in 284 games is impressive, but it's nearly impossible to top a table like this when you play in the same era as Lionel Messi and Cristiano Ronaldo. Since the Polish striker's first season in the Bundesliga (2010/2011), he is the fourth highest goalscorer in Europe's top five leagues. Messi has netted 328 goals in 303 games, Ronaldo is second with 304 goals in 289 games and Edinson Cavani is the only other striker to have scored more than Lewandowksi with 211 goals in 285 games.